It was 100 years ago that World War 1, also know as the Great War, came to and end. 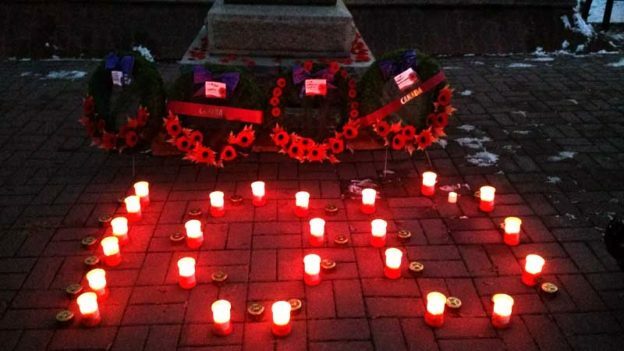 Our Remembrance Day tradition was created to commemorate that event. Later in the day (4:30PM) there was a bell ringing event. The wreaths at the cenotaph were arranged in a display commemorating the centenary. This entry was posted in Whats Up In GF and tagged remembrance day on November 16, 2018 by gftvboss.